Our dear friend Maren Roth of Rowe Boutique fame has once again submitted a picture of one of her fashion-forward friends. This time of Kyle Widder rocking a Canadian Tuxedo (or as they are pushing to call it in my hometown, the “Columbuxedo“). 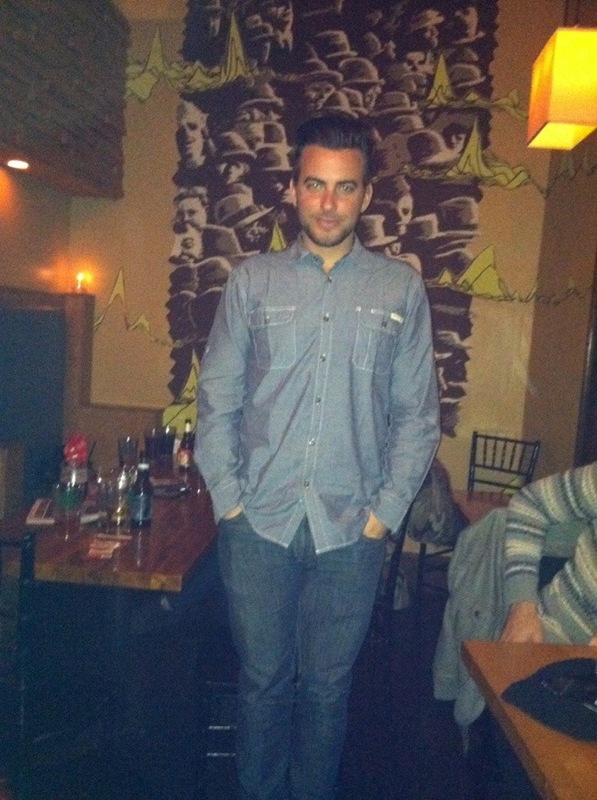 Kyle is pictured here in a Dakota Grizzly shirt and Levi’s jeans. I’ve been here a whole week and haven’t seen a one. I blame the terrible weather, forcing everyone to cover their double denim with heavy, waterproof coats. This entry was posted on Wednesday, December 28th, 2011 at 10:53 am	and tagged with Canadian Tuxedo, Columbus, Dakota Grizzly, Denim, Fashion, Jeans, Levi's, Maren Roth, Ohio, Rowe Boutique and posted in In The Wild. You can follow any responses to this entry through the RSS 2.0 feed.